A special performance just for your listening delight, Amy Speace brings a modern day twist to the poetic song craft inspired by Shakespearean essence. This performance will allow you to experience folk music in its finest. Dazzling with clarity and expression, Amy Speace will be singing to the souls of folk music lovers in the Baur’s Listening Lounge on August 9th. Formerly an actress with the National Shakespeare Company, Amy has incorporated poetry and the tinge of Shakespeare’s characters to her art. Starting out in NYC, she began her artistic journey as actress but left to pursue music full time. Amy’s spirited and miraculous song craft has brought her to stages and festivals around the nation, including The Philadelphia Folk Festival, The Kerrville Folk Festival, Rocky Mountain Folk Festival and many others. The Killer in Me was released in 2009 with NPR comparing her to a young Lucinda Williams. She moved to Nashville from NYC in 2009, releasing “Land like a Bird” on Thirty Tigers. Her songs have been recorded by Judy Collins, the late Memphis blues artist Sid Selvidge, Red Molly and others. Amy’s song craft and crystal clear voice earned her song “The Weight of the World” as the #4 Folk Song of the Decade by NYC’s premiere AAA radio station, WFUV. 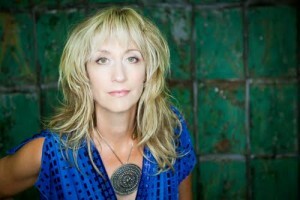 She has toured and shared the stage with Guy Clark, Nanci Griffith, Ian Hunter, Alejandro. Baur’s Listening Lounge welcomes Amy Speace to the stage for a night of magical soul shaking folk. Hear Amy’s poetic, Shakespearean inspired song craft and dive into the stories behind “a crystal clear voice with an emotional catch and a fluttering vibrato that seems grounded in another era yet somehow speaks to this one.” Performing songs from her 2015 album, That Kind of Girl and her other repertoire, Hear this talented artist Sunday, August 9th at 8 PM, presented by the Music Appreciation Society.